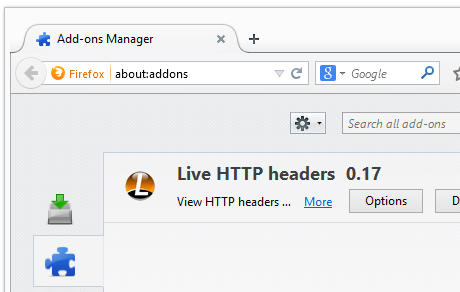 Did you just get a popup or new tab from adservercentral.com and wonder where it came from? Did the adservercentral.com ad appear to have been popped up from a web site that under normal circumstances don’t use aggressive advertising such as pop-up windows? Or did the adservercentral.com pop-up show up while you clicked a link on one of the big search engines, such as Google, Bing or Yahoo? If this description sounds like your story, you probably have some adware installed on your system that pop up the adservercentral.com ads. So there’s no use contacting the site owner. The ads are not coming from them. I’ll try help you with the adservercentral.com removal in this blog post. Those that have been visiting this blog already know this, but here we go: Some time ago I dedicated some of my lab machines and intentionally installed a few adware programs on them. I have been observing the behaviour on these machines to see what kinds of ads that are displayed. I’m also looking on other interesting things such as if the adware updates itself automatically, or if it downloads additional unwanted software on the systems. I first spotted the adservercentral.com pop-up on one of these lab machines. 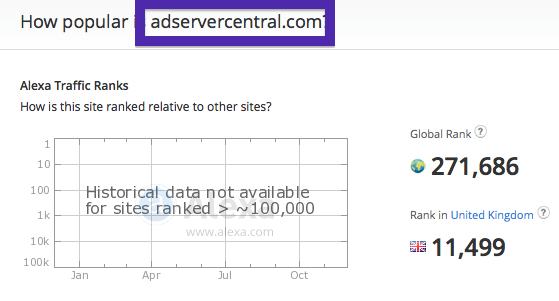 adservercentral.com was created on 2002-10-22. adservercentral.com resolves to the 207.34.202.27 IP address and promo2.adservercentral.com to 209.15.247.29. 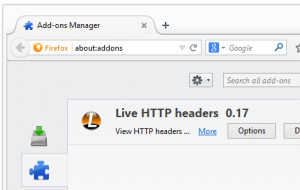 So, how do you remove the adservercentral.com pop-up ads? On the machine where I got the adservercentral.com ads I had TinyWallet, BrowserWarden and BlockAndSurf installed. I removed them with FreeFixer and that stopped the adservercentral.com pop-ups and all the other ads I was getting in Firefox. BlockAndSurf was the adware that caused the pop-ups in my case. 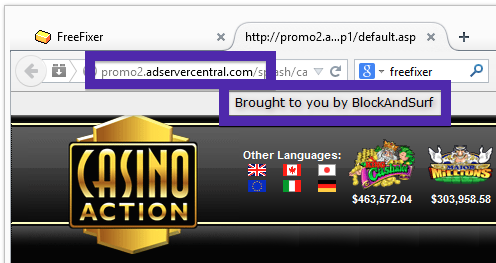 I know this since the pop-up ad had a label with the adware name: “Brought to you by BlockAndSurf“. What label did your pop-up ad have? Please share in the comments area below. Do you see something suspicious listed there or something that you don’t remember installing? Tip: Sort on the “Installed On” column to see if something was installed about the same time as you started observing the adservercentral.com pop-ups. Then I would check the browser add-ons. Adware often show up under the add-ons dialog in Firefox, Chrome, Internet Explorer or Safari. Is there anything that looks suspicious? Anything that you don’t remember installing? 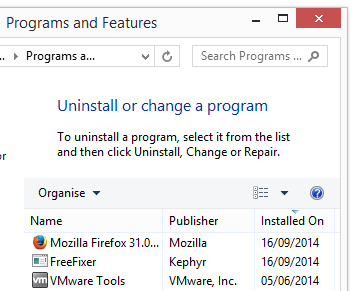 I think you will be able to track down and uninstall the adware with the steps outlined above, but in case that did not work you can try the FreeFixer removal tool to identify and remove the adware. FreeFixer is a freeware tool that I started develop many years ago. Freefixer is a tool designed to manually track down and remove unwanted software. When you’ve found the unwanted files you can simply tick a checkbox and click on the Fix button to remove the unwanted file. Did you find any adware on your machine? 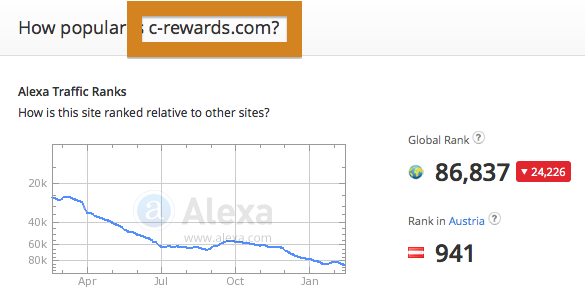 Did that stop the adservercentral.com ads? Please post the name of the adware you uninstalled from your machine in the comment below.